Bareboat Charter. If you are qualified to skipper a vessel in a navigation-ally more challenging area than the Solent then we have a lovely Bavaria 38 ready and waiting to take you on your next adventure. With twin aft cabins Ashanti sleeps up to seven and has a comfortable saloon and is an ideal vessel to explore the glorious east coast and near continent. Prices start at just £1600 for 7 days. Skippered Charter. Imagine a sailing holiday where you are invited to choose the dates you want, the locations you wish to visit and the time spent in each port. Imagine too a fully-qualified skipper in charge of the vessel, whilst you do as much or as little as you wish. And as if that isn’t enough, imagine excellent home-cooked meals so no hidden extras. Our Premier Sailing skippered charters offer all of this… and more besides. We will plan your trip to fit your needs, whether that’s a leisurely sail along the UK coast or an adventurous trip across the Channel to France or Holland. 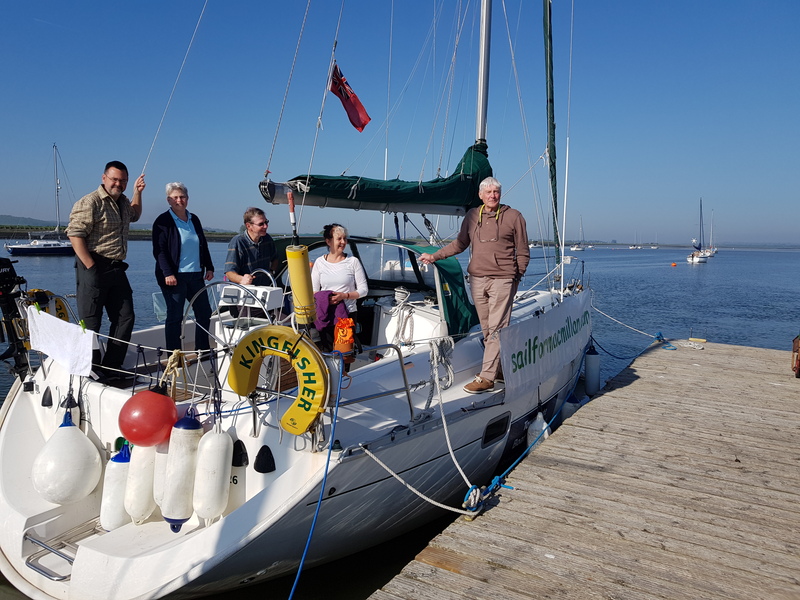 Choose to start from our home base of North Fambridge on the River Crouch in Essex, or from a port nearer to your home, and return to a different destination if that is your preference. Our aim is that you get the most out of your time, and enjoy the adventure of sailing in a relaxed and pleasant way. Prices start at £2500 for 5 days To begin planning your voyage, contact us by phone or e-mail – we are there to make it an enjoyable experience right from the start.